Looking for movie tickets? 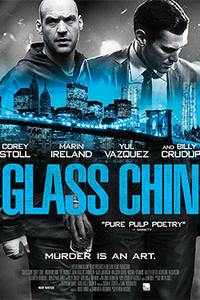 Enter your location to see which movie theaters are playing Glass Chin near you. After going down in the fifth round, boxer Bud Gordon (Corey Stoll) bowed out of the limelight. Now residing in a fixer-upper apartment in New Jersey with his girlfriend, Bud longs for his former Manhattan glory.